Blue Moon Belgian White was first released in 1995. It started with our brewmaster, Keith Villa, wanting to craft a beer inspired by the flavorful Belgian Wits he enjoyed while studying brewing in Belgium. He brewed his interpretation using Valencia orange peel versus the traditional tart Curaçao orange peel, for a subtle sweetness, and added a touch of coriander to provide balance. Then he added oats and wheat to create a smooth, creamy finish that¿s inviting to the palate. As a final touch, he garnished the beer with an orange slice to heighten the citrus aroma and taste. Its natural unfiltered appearance adds to the depth of flavors in Belgian White. 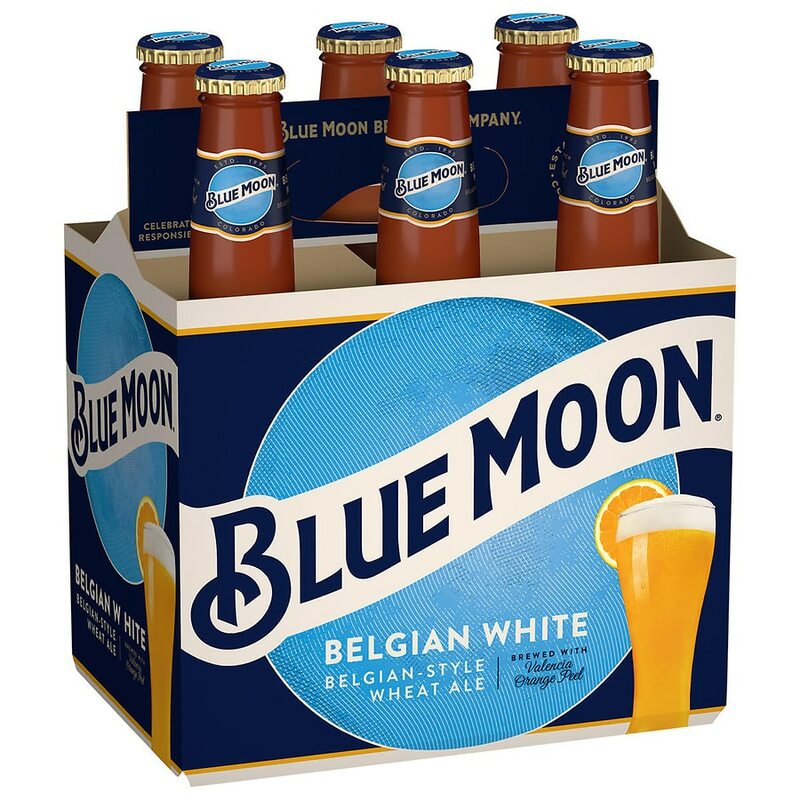 Blue Moon Belgian White is brewed with Valencia orange peel, a touch of coriander, oats and wheat for a complex and balanced taste that shines bright. Garnish with an orange slice to accentuate the citrus aroma and taste. Brewed with wheat, Valencia orange peel, and a touch of coriander for a refreshing, yet flavorful taste that shines bright. Brewed with Valencia orange peel and a touch of coriander for a flavorful, yet refreshing taste that shines bright. Blue Moon Brewing Co., Golden, CO. According to the Surgeon General women should not drink alcoholic beverages during pregnancy because of the risk of birth defects. Consumption of alcoholic beverages impairs your ability to drive a car or operate machinery and may cause health problems. ABV may vary by location.